So we now have the iPhone 4S with some significant enhancements. But I have a feeling that the thing that might get people in the stores to buy it is actually Siri. In case you missed it Siri is Apple’s voice command system. You can use it to control the iPhone to find out what the weather, find out things from Wikipedia and most importantly of all use it to create text messages and emails. Sounds great. But the odd thing is this is yet another example of innovating years after everyone else and then perfecting an application and repackaging it. 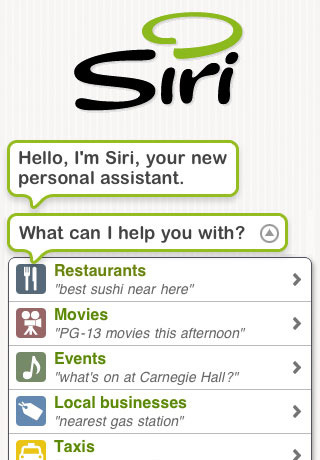 Pretty much all Siri’s features have been available on the iPhone using apps like Vlingo. Siri itself had been available for well over a year before Apple bought the company in 2010, all they are doing now is incoporating it into the OS as a key feature. I remember writing this as far back as February 2010. Similar systems are not just available for the iPhone, but on other handsets too and have been so since 2008. Even before that companies like the sadly missed Spinvox were experimenting with email and blog post via voice. In the same way that Apple offered us Facetime – basically video calling which has been available and hardly used in the UK since 2003 – we are getting old features recycled. Of course Apple’s genius is that 1, it will work and work well and 2, millions of fanboys will think it is something new and innovative. The potential fly in the ointment for Siri is that voice command systems are notoriously picky about accents. Siri never crossed the pond and it may still only be a US-product. UPDATE Looks like it will be UK after all. Interestingly Vlingo has proved a lot more popular in the UK than it did in the US. So maybe Americans are quite as keen on voice control systems as Apple thinks. Also there are some pretty negative reviews of Siri on the iTunes site. Let’s hope that the new version is much improved. With the launch of the 4S is the iPhone about to lose some of its cool? It’s bull becaue I’ve been using Siri for awhile and about 2 months ago Siri was removed from AppStore and now it will be removed from iPhone 4 to go to 4s on the 15 of oct, if your jailbroken turn the apple killlswitch to off and I hope we can keep it!